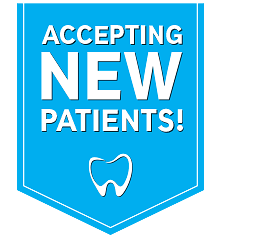 Dr. Pham is committed to continuing his dental education and learning new techniques in root canals, dental implants, wisdom teeth extractions, crowns, bridges, veneers and other dental procedures. Any dental procedure can be painful and stressful, Dr. Pham wants to ensure your successful surgery outcome with these post-op care instructions. As hard as we work to make sure you experience few post-procedure complications, there may be circumstances or unforeseen situations that require immediate attention. In these situations, we encourage you to contact Dr. Pham’s 24 hour, emergency line, you can find this number by calling our office line and following the prompts as well as on our paperwork we have sent home with you. For more standard care and general information we have provided the information below. Root Canal treatment may take more than one appointment. During treatment, the pulp tissue that makes up the nerve is removed and the canals where this tissue was will be cleaned and reshaped.This procedure will cause some inflammation, therefore you will feel discomfort for a couple of days after completion of the procedure. Anti-inflammatory medications (such as Motrin) are the best type of medication to take in order to decrease the inflammation. This type of medication has to be taken as directed and has to be allowed time to build up in your system before it can work. So do not be alarmed if it doesn’t work after you take just one tablet. If swelling occurs, you will probably need to be prescribed some antibiotic medication to fight the infection. If you came into the office with swelling, make sure you take the antibiotic as prescribed. A temporary filling was most likely placed on this tooth. The temporary filling will seal the tooth from bacteria. Avoid eating directly on this tooth. If the filling breaks, contact us immediately. If the root canal treatment was not completed on the first visit, even if the tooth is feeling better, it is very important that you return for the completion of treatment. A larger infection could follow if not completed. Even the nerve of the tooth was removed; the tooth is still nourished from the surrounding tissues. Occasionally, treatment is unsuccessful, or there may be an undetected fracture. Pretreatment of the root canal therapy or extraction of the tooth may be indicated. After the root canal is completed, patient is advised on the need of a buildup and a crown in order to avoid the tooth from fracturing. Avoid smoking, drinking through a straw, or drinking out of a bottle for 24 hours. This creates suction in your mouth, which may be strong enough to pull the clot from the socket. If this happens, you have dry socket, which is very painful and delays healing. Do not rinse vigorously. This may also remove the clot from the socket. Instead, let the water run around the mouth gently and then spit out slowly. Limit exercise. This will reduce the bleeding, and help the clot form. Keep your your oral hygiene, but avoid brushing around the extraction site for a day or two. Rinsing: About 24 hours after the extraction, you can start rinsing well with warm salt water a couple of times a day. Just dissolve a teaspoon of salt in 8 oz of warm water. It is important to keep food particles out of the extraction site in order to allow for proper healing.